Hawk-eyed Air Peace all-female crew led by Captain Sinmisola Ajibola, Senior First Officer Onohi Agboighale, Mojoko Ewane, Taiye Abbey, Victoria Ukpiaifo and Ngozi Ezeamaka on Sunday foiled an attempt by a middle-aged woman and her collaborators to traffic a three-day-old baby boy through the Port Harcourt Airport to Lagos. An online statement issued by the airline explained that the suspect had booked Air Peace Port Harcourt-Lagos Flight P4 7393 on Sunday. The airline further explained that during boarding, the Lead Crew of the flight, Mojoko Ewane observed that the suspect was handling the baby in an awkward manner and decided to question her. When she was questioned at the boarding door of the aircraft, the suspect claimed the baby was three days old. She, however, later told her interrogators that the baby was born on January 5, a day before her aborted trip. The suspect said she gave birth to the baby shortly after travelling from Lagos to Port Harcourt on an Air Peace flight on January 5. A call was later placed to the contact numbers the suspect said belonged to her husband and the doctor, who handled the birth of the child. While the alleged husband claimed that his wife was actually pregnant, the alleged doctor’s number rang unanswered. When the suspect was asked to breastfeed the baby, she could not, as there was no breast milk. The suspect tried to create a scene, rallying other passengers on the flight to prevail on Air Peace crew to allow her fly, but the crew stood their ground. When the crew informed the suspect that the carrier’s standard operating procedure barred them from allowing passengers fly with a week-old baby on grounds of health, she claimed to be a nurse and insisted that the baby’s health would not be jeopardised. The airline, it was gathered, later invited personnel of the Department of State Services (DSS) at the Port Harcourt Airport to take over the case for further investigation. 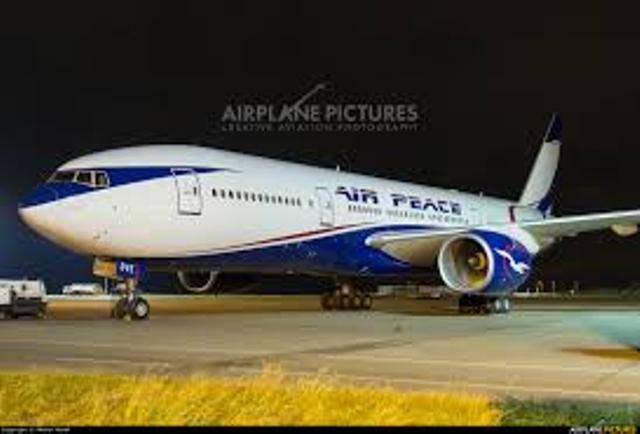 Air Peace Corporate Communications Manager, Mr. Chris Iwarah confirmed the incident on Wednesday, adding that the airline was proud that its crew professionally discharged their responsibility to ensure passengers’ safety and assist government in fighting crime. A DSS source in Port Harcourt also confirmed that the suspect had been transferred to the zonal office of the National Agency for the Prohibition of Trafficking in Persons (NAPTIP) in Uyo, Akwa Ibom State for further handling. The source claimed that the suspect confessed that a lady gave her the baby. The DSS source commended Air Peace crew for foiling the attempted child trafficking with their vigilance. In June 2018, Air Peace crew also exposed a suspected trafficker of a three-month-old baby on its Lagos-Banjul flight. Be the first to comment on "Air Peace Crew Thwart Attempt To Traffic 3-Day-Old Baby"